A long-winded contemporary western drama, The Misfits sadly proved to be the last film for both Clark Gable and Marilyn Monroe. It is an almost insufferable exercise in navel gazing, a sorry story about lonely people looking for solace in all the wrong places. In Reno, Nevada, Roslyn (Monroe) finalizes her divorce, with the emotional support of Isabelle (Thelma Ritter). 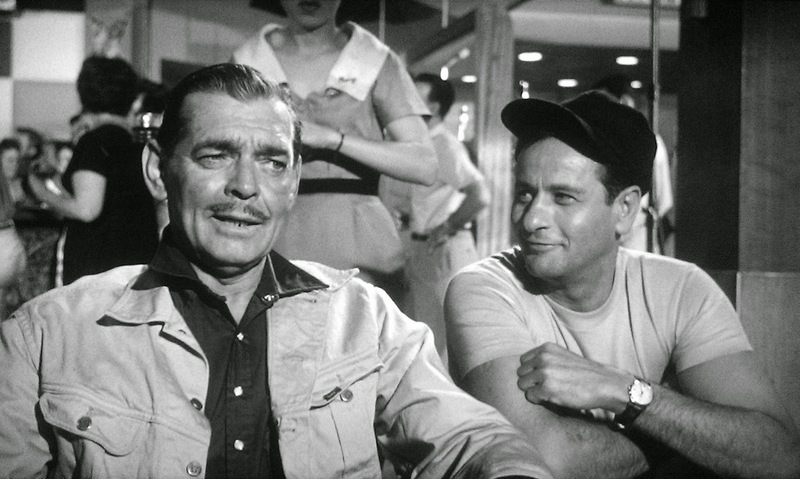 They then meet truck driver Guido (Eli Wallach), and through him his friend Gay Langland (Gable), an old fashioned cowboy. Isabelle tries to get Guido's romantic attention, but he is immediately smitten by the beautiful Roslyn, who in turn is both fascinated and repulsed by Gay's blatant machismo. Guido offers Roslyn his secluded desert home to de-stress from her divorce, after which Gay and Guido invite Roslyn to join them as they attempt to round up wild Mustang horses in the desert wilderness. On the way they meet Gay's old friend Perce Howland (Montgomery Clift), a penniless rodeo cowboy. As Roslyn finds herself attracting the attention of all three men, the group joins Perce as he competes at a local rodeo event, before heading to a dry lake to try and corral some horses. 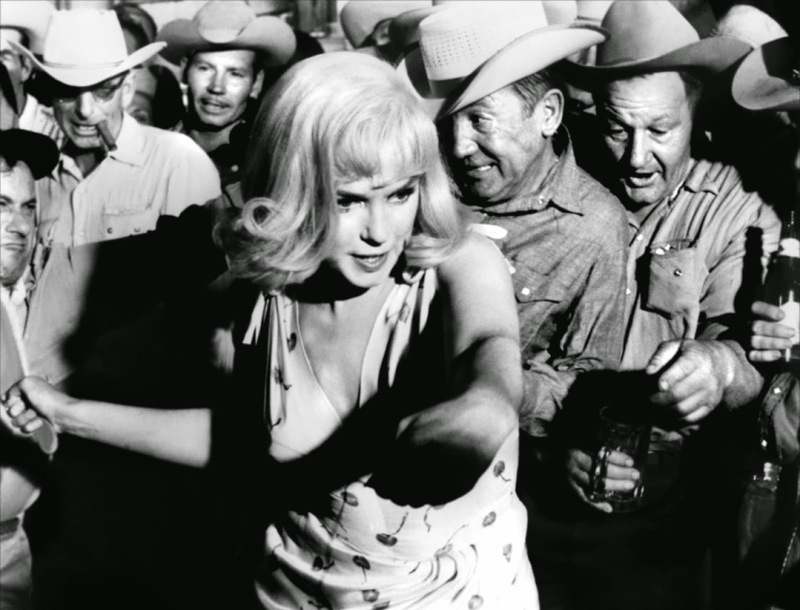 Written by Arthur Miller (Monroe's soon to be ex-husband) and directed by John Huston (apparently hard on the bottle), The Misfits is a project that just did not work. Miller's script is talky, dreamy and exceedingly laborious. Roslyn, Guido, Gay and Perce are uninteresting and unintelligent, all the behaviour on display conveying boring people too quick to express shallow emotions and waves of anger. The attractions are inexplicable except as acts of desperation, never a good basis for attempted romance. And the love/hate attitude that Roslyn displays towards Gay is simply irrational. Either she enjoys his alpha male persona or she does not, and Miller can't decide what kind of man his leading lady craves. Huston's directing is stale. Scenes go on for too long, the story never finds an arc to hold on to, and the climactic but endless Mustang chase in the desert is filled with cowboys-never-change hokum. The film's many failures are quite the pity, because the acting talent is clearly abundant. Despite any end-of-life issues facing Gable and Monroe, they both effortlessly dominate the screen. Gable is his usual uncompromising presence, filling his scenes with larger than life male bravado and living proudly according to his code. Monroe is a wispy, breathy presence, displaying nothing but vulnerability in what is either a terrific acting performance or simply by placing herself on the screen. Wallach, Clift and Ritter lend plenty of talent in support, all three conveying lives bereft of purpose and drifting towards a great emptiness. Gable died within two weeks of the end of filming after suffering a heart attack. Monroe died within 18 months, having never completed another film. The Misfits is unfortunately more of a final crooked memorial for two enduring legends, rather than a successful movie.